Up until 2017 Gannet was the most recent AOD to be built, launched on a cold January morning in 2010. At the River Race Dinner of that year, all seven owners agreed upon the AOD constitution – and formed the Axe One Design Class Association. At the same time a new AOD specification was agreed, this incorporated the rules of 1959 into a much more comprehensive format to safe guard the AOD. Also, Peter Williams lofted a set of moulds from No.1 and is in the process of drawing a set of plans to compliment the specification. 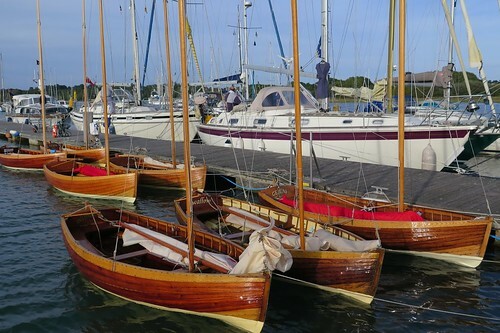 The latest specification is issue 4, agreed by the owners at the AOD Jubilee Ragatta in June 2013.